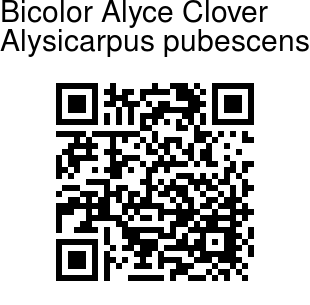 Bicolor Alyce Clover is an erect or diffuse herb, 50-100 cm tall. Stem is slender and weak, with trailing, hairy branches. Leaves are pale-green, hairy, narrow, linear, 3-6 cm long, pointed, with a rounded base. 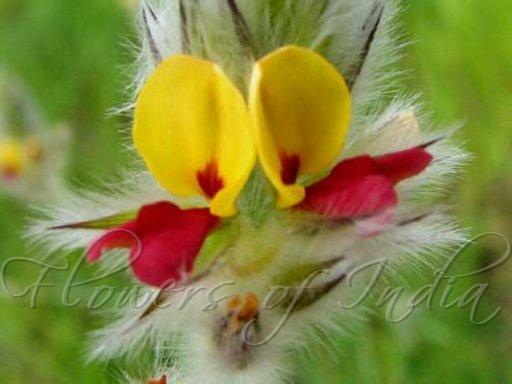 Stalkless flowers are borne in densely hairy erect spikes at the end of branches, 5-15 cm long. Sepal linear-lanceshaped, spine-tipped. Beautiful flowers are 8 mm across, with a yellow standard petal, red wings and dark-pink keel. Flowers open in the morning. Flowers open in pairs, starting from the base of the spike. Flowering: September.